This design allows you to retrieve two balls at once. It comes with a safety catch that prevents the ball from coming out until you are ready to remove it. You don't have to "see it" to "retrieve it" with this model. As you dredge the water, you can feel the balls fall in. 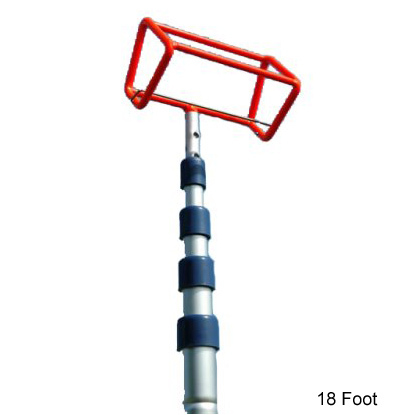 The hardened steel head design has an orange epoxy coating for durability and visibility.